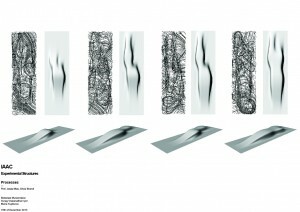 On the 11th of March during the night in IAAC took place the Final Presentation of the Experimental Structures Seminar. The aim of the seminar was to investigate the extreme possibilities of textile constructions and structures which make them possible. 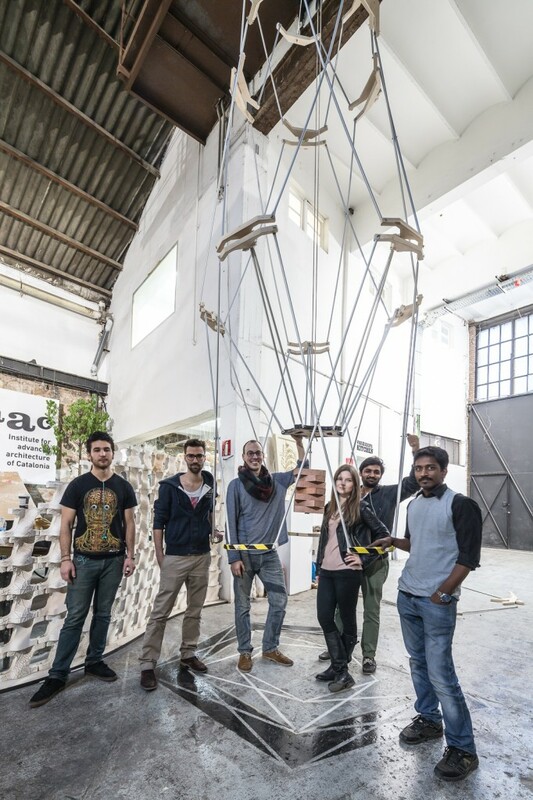 Starting from analyzing existing technologies, students studied the possibilities of building portable and packable pavilions. Students: Zeynep Birgönül, Jin Shihui, Anand Singh, Diego Arturo Diaz Garcia, Dirce Medina Patatuchi, Venkata Kasi Raju Alluri, Georgios Angelou, Juan Diego Ardila, Drew Carson, Jean Akanish, Anca Simona Horvath, Dori Sadan, Maria Kuptsova, Boleslaw Musierowicz, Surag Viswanathan Iyer, Moritz Begle, Diego Colinas Magana, Amir Reza Saheb, Taruni Aggarwal, Aishwarya Sampath, Roopa Sharma, Boghani Harsh Shailesh, Marjan Jelveh Nejad, Angeliki Terezaki, Amir Asayesh, Ibrahim Berkay Ogunc, Elif Gungor, Shivaranjani Kumbar, Priyanka Narula, Kismir Selcuk, Amit Kumar, Miguel Oliveira, Youssef Rashdan. 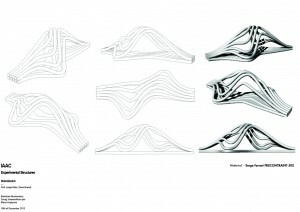 Can a pavilion inflate its skin and change its configurations according to the event? Can a pavilion be desmountable and so foldable to fit in a hand luggage? 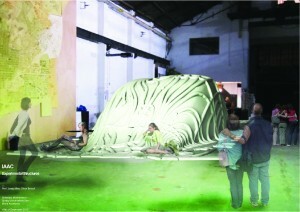 Can an exhibition space be adaptable descend from a ceiling and become a sensorial personal experience? The aim of the seminar, leaded by Josep Miàs and Silvia Brandi, is to investigate the extreme possibilities of structures which make them possible. Starting from analyzing existing technologies, we ended up building a pavilion that is easily transportable and packable, and that can be used as a living space, exhibition room, or meeting point. We fokussed to create the structre as light and thin as possible and ended up with a combination of aluminium pipes and wooden joints. 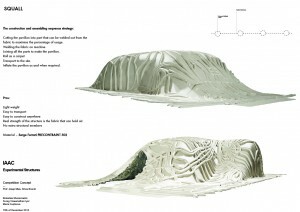 The whole structure can adapt its size and shape towards its needs. Through the opening mechanism the whole pavillion can be opened and closed by a single person till it encloses yourself.